See more Nicole Miller Cocktail dresses. 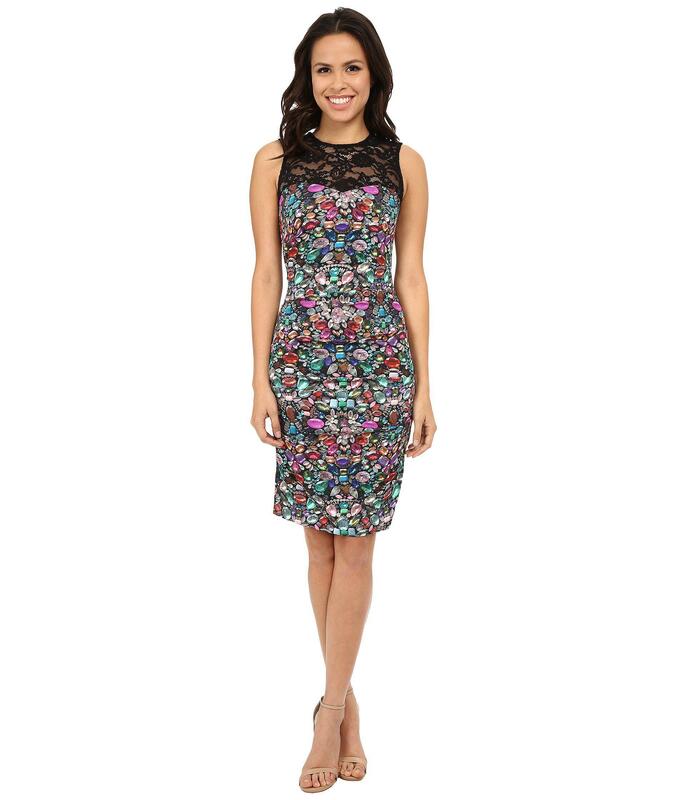 We check over 450 stores daily and we last saw this product for $102 at Zappos. 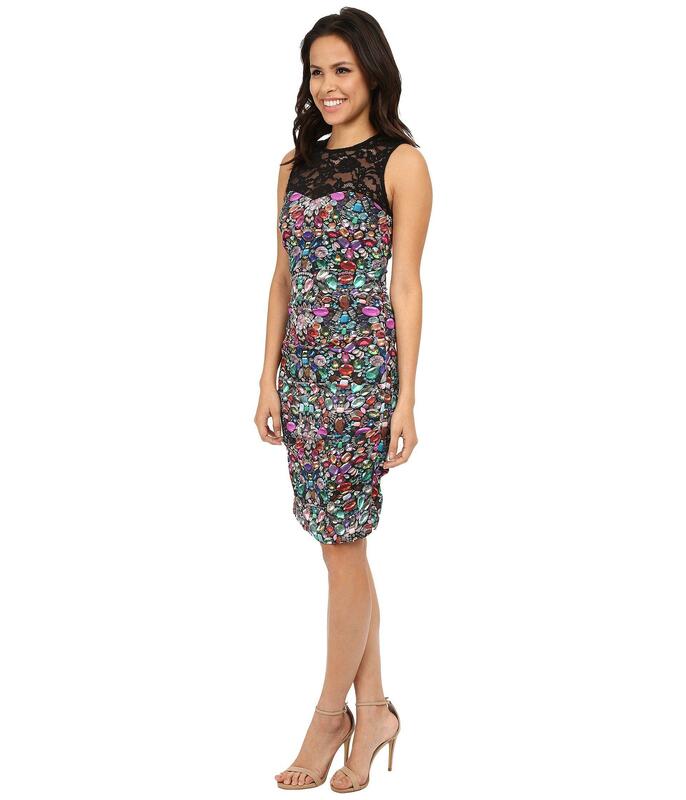 Sleeveless sheath dress flaunts an illusion lace yoke and screen-printed jersey bodice. Figure-hugging silhouette. Round neckline. Back button loop and zipper closure. Straight hemline hits at the knee. Partially lined. 96% rayon 4% spandex; Lining: 97% polyester 3% spandex. Dry clean only. 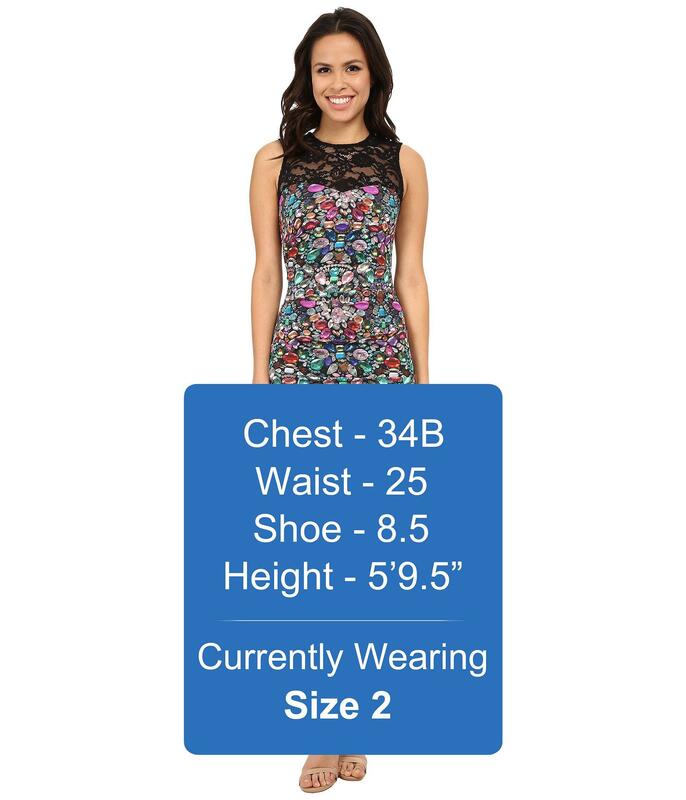 Measurements: Length: 39 in Product measurements were taken using size 2. Please note that measurements may vary by size.